JBS Tolleson of Tolleson, Ariz., is recalling more than 6.9 million pounds of various raw, non-intact beef products that may be contaminated with Salmonella Newport. An epidemiological investigation by the Agriculture Department’s Food Safety and Inspection Service has identified 57 case-patients from 16 states with illness onset dates ranging from August 5 to September 6, 2018. 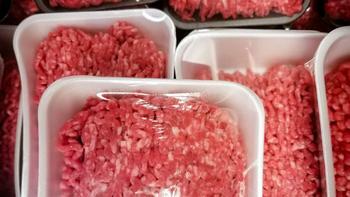 The list of raw, non-intact beef items, including ground beef, packaged on various dates from July 26, 2018, to Sept. 7, 2018, may be found here https://www.fsis.usda.gov/wps/wcm/connect/6ae70f90-0f59-4006-a665-4d10d05156a0/RC-085-2018-Products-List.pdf?MOD=AJPERES. The recalled products, bear establishment number “EST. 267” inside the USDA mark of inspection, were were shipped to retail locations and institutions nationwide. Consumers with questions regarding the recall may contact the JBS USA consumer hotline at (800) 727-2333.